Will Flash Restore Original Timeline? When Does the Big Bad 'God' Arrive? Viewers of The Flash would be well advised to get comfortable in the current, re-revamped timeline, because it doesn’t sound like the original one will be restored any time soon. 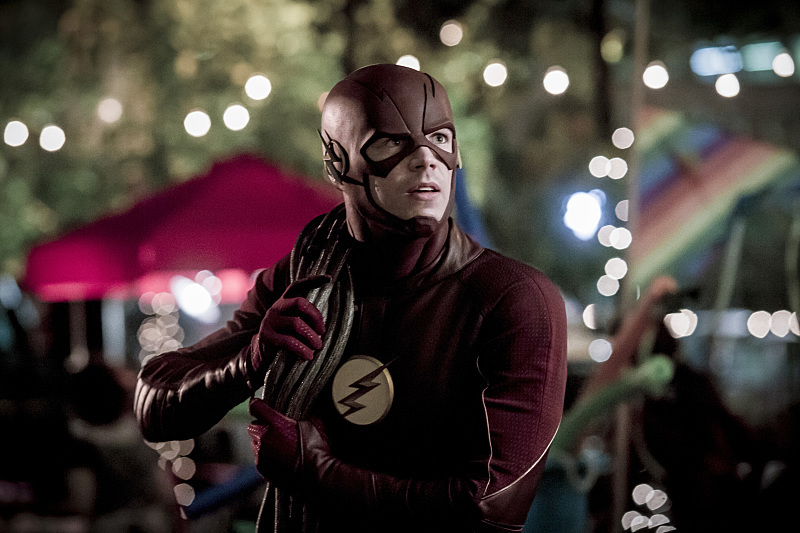 In this new timeline — which was born of Barry’s attempt to undo his “fixing” of the version in which his mother died, and features such wrinkles as a Joe/Iris rift, a mourning-his-brother Cisco and a Caitlin at odds with a frosty fate — The Flash has been battling the “sleeper” metahumans who are being awoken to their alt-destiny by the shrouded “Doctor” Alchemy. But as well previewed during the off-season, a second Big Bad — the speedster named Savitar — is on his way, to make his debut “very, very soon,” warned series lead Grant Gustin. Vampire Diaries Poll: Are Stefan and Caroline Moving Too Fast?